Product inspection systems measure product integrity by comparing inspection results of each product against the results of a single product with a proven integrity. The term Integrity is used to express the wholeness or completeness of a product being produced. The exact requirements of integrity checks will differ dependent on the product characteristics, method of production, quality benchmarks and type of inspection being carried out. Each inspection technology has its limitations and areas where it excels. All the technologies mentioned below offer different levels of integrity checking as a standard inspection capability. Types of Integrity Inspection Equipment? Weight measurement is very common for integrity checks as an incorrect weight value will indicate an error in the product but errors which show no weight deviation will not be found. 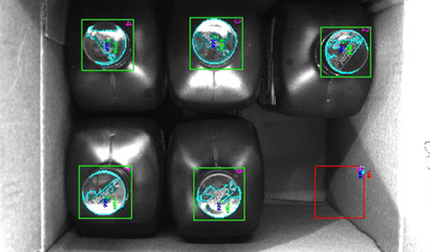 High resolution cameras can be used where there is a direct line of sight and x-ray inspection systems where the requirement to look inside or through a product is required. 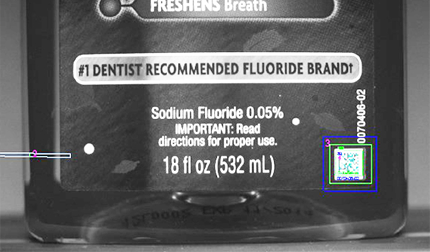 Checks need to be made that the right number of contents are in a package and that they are in the right place. A simple weight measurement will enable the correct content count but an additional visual inspection would be required to determine any placement errors and specify any remedial action necessary to eliminate the root cause. Broken or damaged contents though not life threatening will, if found by the end customer, have a negative effect on the brand image. As there is normally no weight deviation involved a visual quality control check is required. 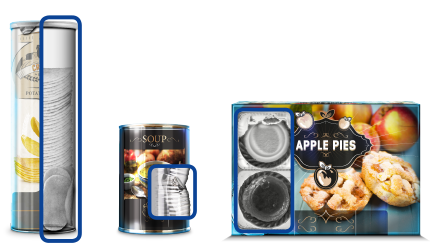 High resolution camera systems are able to inspect contents before the final packaging process but an x-ray inspection system would be the best choice for a final end of line inspection. Malformed products or components can cause serious disruption during production by damaging downstream equipment. There are many factors which can lead to errors during component or container forging and moulding processes which can have a damaging potential. Weight inspection may detect this error but a visual or x-ray inspection would be the better choice of equipment to detect this. Correct sealing on food products ensure the correct shelf life and protect against bacterial growth. Correct sealing on products used in high hygiene or sterile environments protect against health related complications and infections. 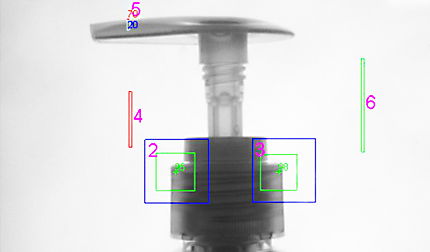 In the majority of cases the sealing area will be visible in the final packaging which means that a camera inspection solution would be the better choice. X-ray inspection systems are also capable of this inspection especially where product is trapped within the sealing area. A damaged, not correctly closed or incorrect final packaging can cause damage to downstream equipment and also, under certain circumstances, cause end customer safety issues. 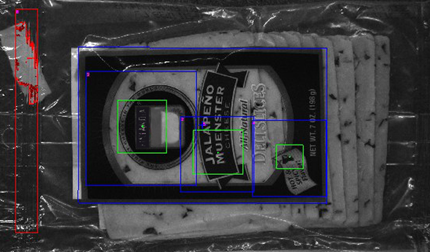 Checkweighers can readily detect open flaps on packaging using sensors. 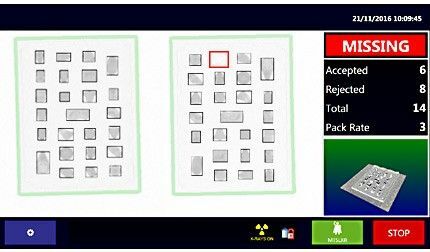 X-ray inspection systems can check for damaged packaging but only a camera inspection system can detect both as well as checking packaging details to pick up mislabelling issues.